"I get confused when you say food truck because here we call them lunch wagons." This was from my tablemate at dinner the other night (sorry, forgot your name, my bad). 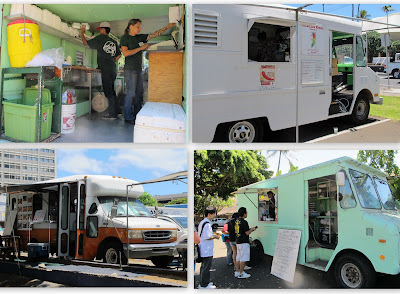 This woman grew up here in Honolulu and gave me some interesting perspective on the food truck history here. I had already arrived at the conclusion that it's a cultural thing, she just reinforced it. Lunch wagons have been around on the islands for decades. My tablemate explained to me that when she was growing up, there were still many trucks used as mobile stores. There were few stores on the island and so trucks would come to your neighborhood with anything from produce to fabric to household items. Vending trucks were a familiar sight and as they came down the street, some would generate the same kind of excitement that we associate with ice cream trucks attracting kids today. She also told me about the old agricultural ways where the immigrant farm workers would bring their lunches to the fields and share. 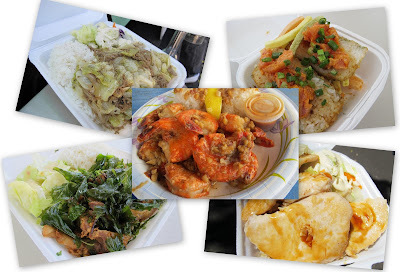 Filipinos, Chinese, Japanese, and more would bring their lunches, share them with each other, and thus started the fusion of the cuisines on the island. Eventually lunch wagons would start going out to the fields instead and the workers would just buy from the trucks. Thus the start of their food truck culture. Lunch wagons in Hawaii serve plate lunches. For us Sacramentans, think about your L&L Hawaiian BBQ lunch - it contains your meat, rice, and salad. That's what is the norm here. You almost always (like 99% of the time) get rice and salad with your order. These wagons will also have a varied, full menu. You'll find one truck that will have everything from grilled ahi to curry chicken, shrimp scampi, and cheeseburgers. 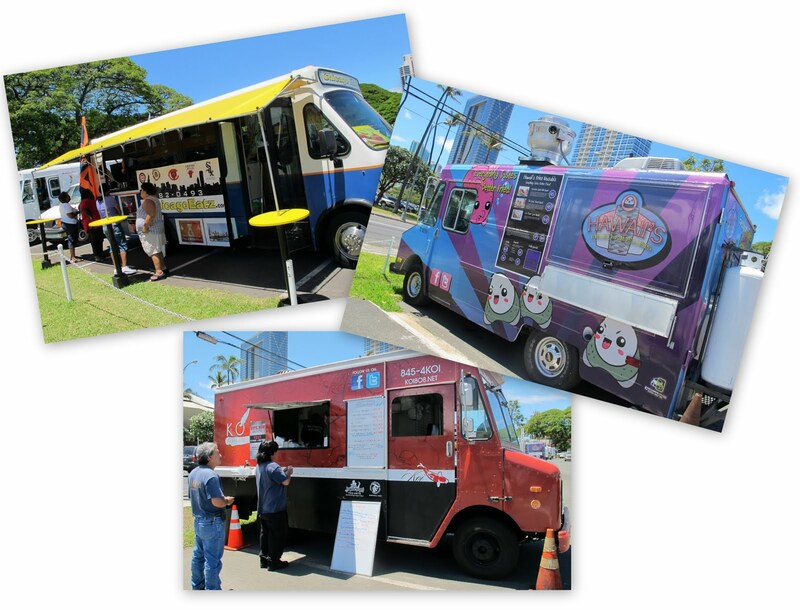 This is very different from the new mainland gourmet trucks that focus on a certain line/theme of food and smaller portions. Only in the last year or so have some Hawaiian trucks started offering small plate items. It's a case of old ways so ingrained in the culture. 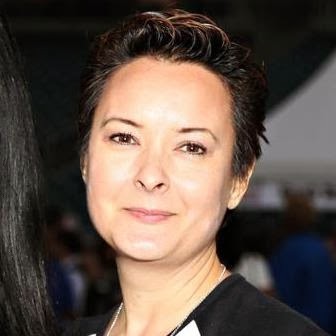 Poni Askew, organizer of the monthly Eat the Street event (like Off the Grid or SactoMoFo), says that she's had resistance from the trucks when she tells them to have sample size items for Eat the Street. When you have food truck gatherings of 30+ trucks, people want to try as many trucks as they can. They want to try a selection of $4-5 items and not fill up from one plate lunch for $9 from a single truck. I asked her and others if the clientele for the trucks was pretty much ethnic or did the Caucasians eat from the trucks too. The answer was 'yes'. The ethnic groups are so used to the trucks and see them as no big deal, whereas many haoles are only just starting to eat from them. One reason for this could be the condition of the trucks. Here the the 'trucks' are really anything that can be converted. There are very few of the pretty wrapped trucks that are the familiar icons of the mainland truck movement. Folks here convert limo buses, delivery trucks, school buses, etc. This makes sense for an island where it's cheaper to retrofit such a vehicle than to ship over a food catering truck from the mainland. But it also means that these haphazardly, slapped together vehicles give cause to haoles casting a wary eye, whereas locals know not to judge a book by its cover. It might not be an attractive truck, but the food inside is what matters. Coming up, Hawaiian ordinances and Eat the Street.